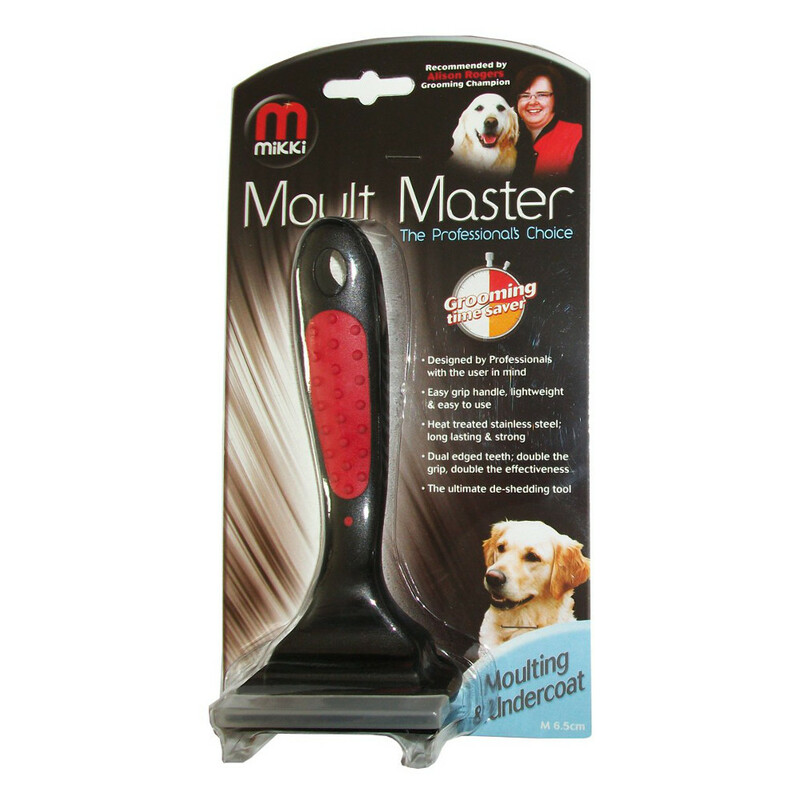 Mikki Moult Master Dog Shedding brushes have been designed by professionals to be effective and easy to use on dog coats. The Moult Master is an easy to use, versatile and light weight De Shedding brush for use on most dogs. 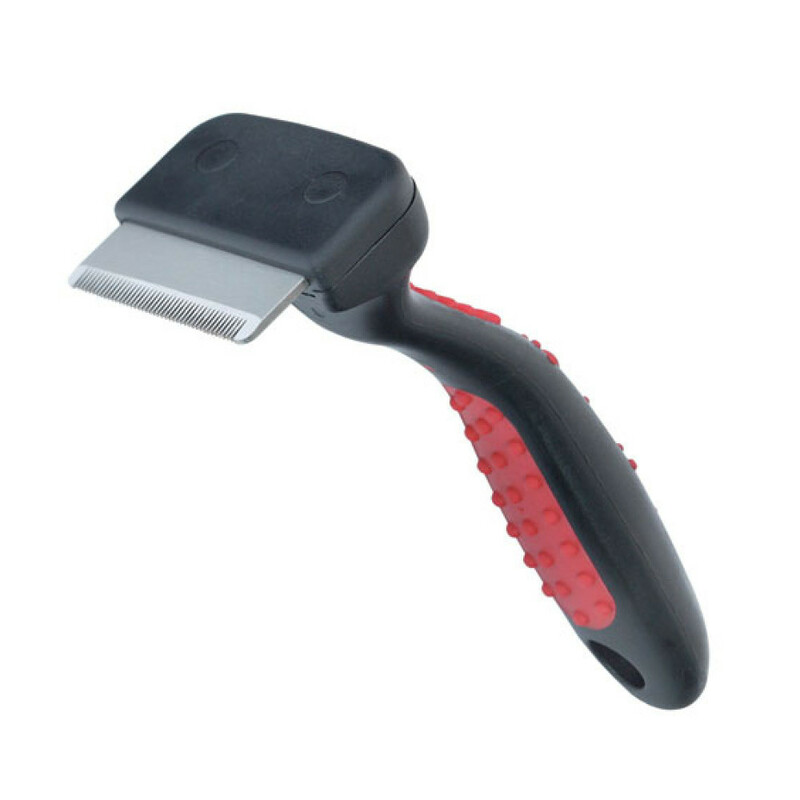 The brush has been designed to remove mass moulted hair from undercoats. 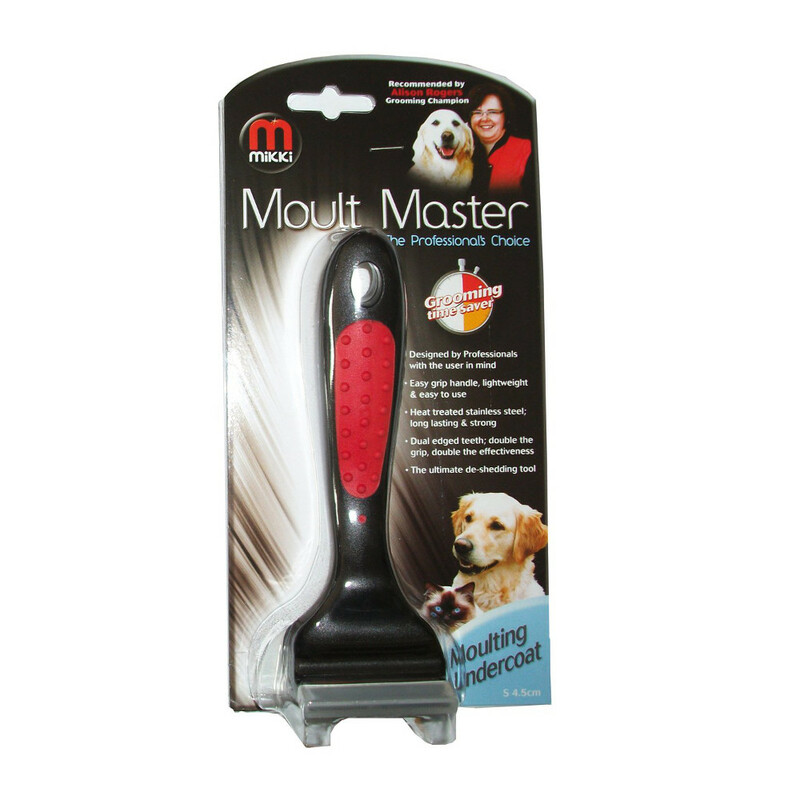 The brush also smoothes down coats to add a special finish to hand stripped and short haired dogs. 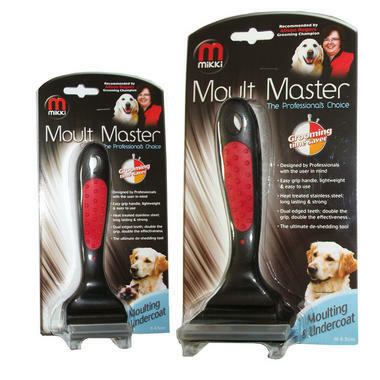 The Moult Master makes it easy for you to keep on top of your dogs weekly grooming routine, allowing you to gently brush the coats, removing the dead hair painlessly. Using the comb, you can ensure that your pets coat will soon become clear and more manageable. Available in 2 sizes, the brush is a light weight tool with a dual edged teeth head, giving you double the grip as well as effectiveness. The brush has been made of long lasting hand treated stainless steel and is strong, giving you a longer lasting De Shedding Brush.